Walmart is coming close to adding drones to its daily workforce to help the retailer monitor inventory in its warehouses. Once testing is complete in six to nine months, drones could shorten work processes currently taking a month to just one day. Walmart’s Vice President of Engineering Sciences, Shekar Natarajan, showed off the megastore’s new drone technology on Thursday, ahead of its annual shareholder meeting. Natarajan displayed the drone’s maneuvers by flying it up and down the aisles of a warehousing center near its Bentonville, Arkansas headquarters. The remotely controlled drone snaps pictures at a rate of 30 per second in order to catalogue products on shelves and immediately alert the user to when goods are running out or incorrectly stocked. The Walmart drone has three indicators – green, blue and red. Red stands for a stocking error and blue signals that a product is missing. Green means everything’s OK.
“We are still in early phases of testing and understanding how drones can be better used in different types of business functions,” Natarajan said. The drone is particularly useful for checking stocks. The device will be able to scan as many products in a day as a worker is able to manually scan using hand-held devices in a month, significantly reducing the labor intensive process. The technology could “potentially” reduce the number of workers required to conduct this kind of work, while other staffers would be deployed in other areas of the warehouse, Lorenzo Lopez, a Walmart spokesman, said, according to The New York Times. 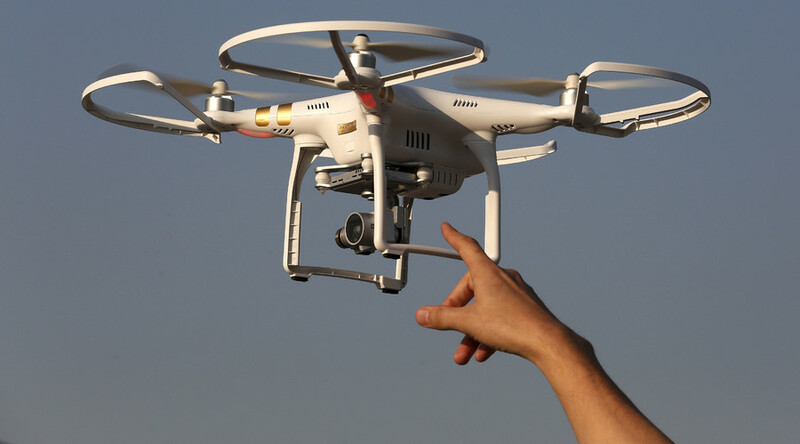 “It’s really the technology that mounts on the drones that makes it very important,” Natarajan said. During six to nine months of testing, Walmart will try to understand whether it should deploy more drones in its 190 distribution centers across the US, each one of which serves 100 to 150 stores. 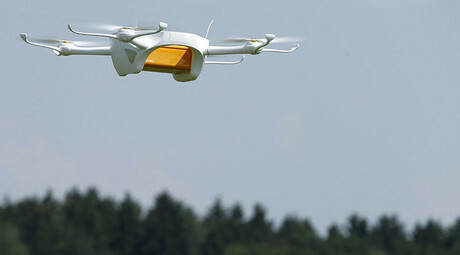 Last October, Walmart sought the green light from the Federal Aviation Administration to start testing drones for delivering online orders, joining Amazon and Google.